Another great review from Ray Jordan, click on the link to read it. GEOGRAPHE wine region lives in the shadow of Margaret River, but it produces some great wines of its own and deserves to be better known. The region stretches from Harvey in the South and inland to Donnybrook. It includes the City of Bunbury, and the Ferguson Valley. The region hugs Geographe Bay with the cooling afternoon sea breezes being a hallmark of a long stable growing season.Many of the Geographe vineyards were planted in the late 90’s and are now well established and producing wine of consistent high quality. The region excels at Chardonnay and Shiraz, with excellent Semillon and Sauvignon Blanc. Lesser known as varieties from Italy and Spain are also making a name for themselves – grapes such as Arneis, Vermentino, Tempranillo, Durif and Nebiolo to name a few. Drop in and see Vineyard 28 on your way past, only 3km off Forrest Hwy, a detour you will not regret. Vintage continues and the grapes just keep coming in! This morning we picked the Arneis, and here is the crew recovering with morning tea. Review by Ray Jordan, The West Australian – 15th Jan 2015, in his Cellar Talk column. 2014 Arneis is available for purchase by contacting us at the winery on 08 9733-5605 or via email. 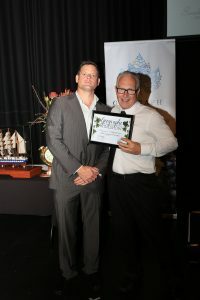 On Friday the 7th November, the Geographe celebrated recent success from the 2014 ANZ Geographe Wine Show, with a Taste of the Region, held at the Sky Bar at the newly renovated Bunbury Regional Entertainment Centre. It was an opportunity for Trophy and Award winning wines from the show to be placed centre stage, and matched with local gourmet produce. Gavin Hayres and Amanda Yip drinking Vineyard 28 2014 “The Alternative” Arneis Photo from Bunbury Mail. Vineyard 28’s “The Alternative”2014 Arneis was featured as part of this event, served alongside Donnybrook Marron- (Poached Marron, Pemberton Avocado & Lime Mousse, Passionfruit Dressing) and Avocado Watermelon- (Watermelon Cube, Pemberton Avocado & Lime Mousse, Pistachio Crumbed Harvey Persian Goats Cheese). Our 2014 Arneis received the Doral Mineral Sands Award for Best WA Alternative White Variety at the 2014 ANZ Geographe Wine Show. Mark our winemaker was very pleased to have it selected for the Taste of the Region. The Geographe Wine Region is located just 2 hours south of Perth, and is fast earning a reputation as one of Western Australia’s most exciting new wine regions. Spanning from Harvey in the North to Busselton in the South and out to Donnybrook in the East, the region hugs the Geographe Bay with the cooling afternoon sea breezes being a hallmark of a long stable growing season. 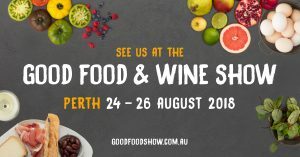 Whilst Geographe is one of Australia’s most geographically diverse regions, a common theme resonates across the region of smaller vineyards and wineries owned and operated by the families you meet at the cellar doors, Wine Shows and Exhibitions. 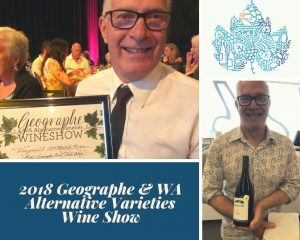 The people behind the wine labels of Geographe are passionate and proud of their Region and what it produces and also where Geographe wines are placed in the Australian and world wine scene. Vineyard 28 is one of Geographe’s small family owned and operated vineyards. When you visit us at the cellar door, most of the time you will meet us the owners, Mark & Pippa, the people behind the wine. We grow the varieties of wine grapes we are passionate about and enjoy making wine from for you. A love of all things Italian has blossomed into a particular interest in alternative wine varieties for Mark our winemaker and alongside our more traditional range.